On Sale!. Almost sold out. 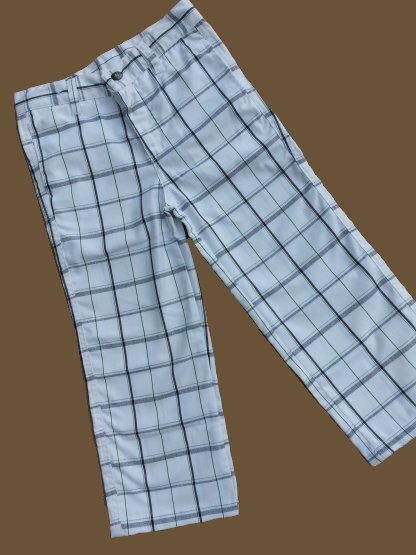 These super sporty pants are made of a softly woven cotton poly blend. The white background has a windowpane plaid in navy and dark green. 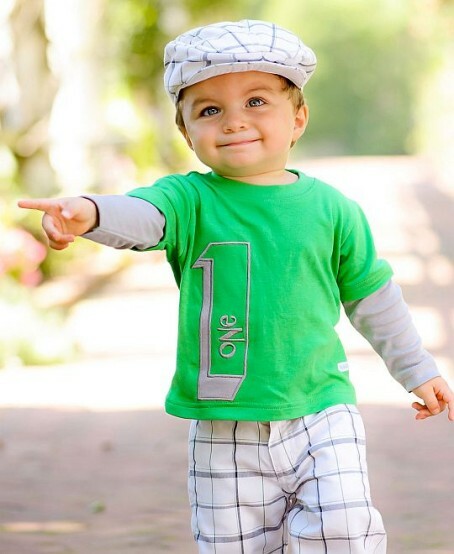 They have a front fly, belt loops and an elastic back in infant sizes. 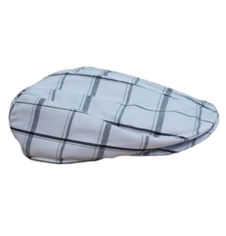 Add the matching golf newsboy cap shown below. Head out to the course with Dad and camera! Machine washable. Dry on low. They run true to size. Note - The shirt pictured on the model is no longer available.